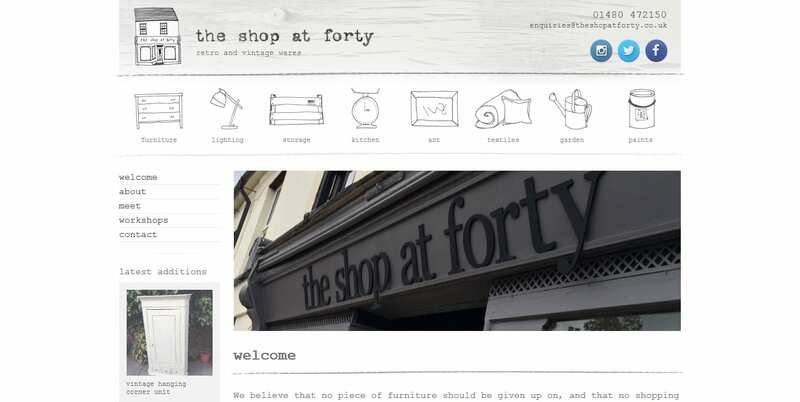 After getting back from Ibiza I’ve been hard at work finishing off The Shop at Forty’s website. It was launched last week, has had a few little tweaks since and is now all done for the time being. It’s a WordPress site using my own online shop framework that I first developed for Broken Spoke Cycles. 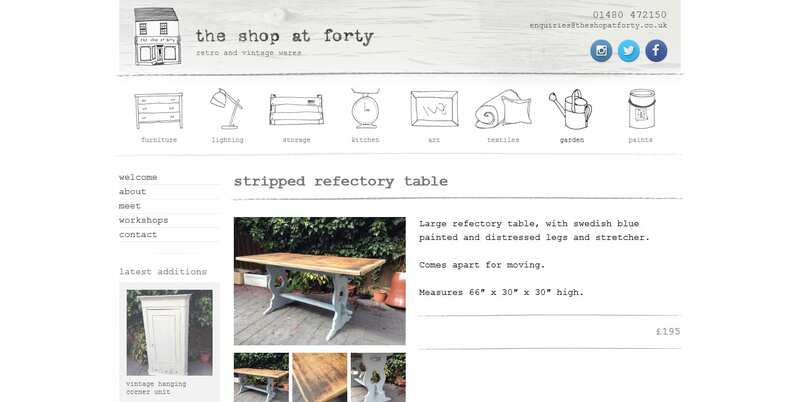 It’s had a few nice little updates to better fit Forty’s requirements and is only a basket and PayPal link away from being a simple but fully functional e-commerce solution. I’m really quite pleased with it, and so are the clients (yay!). Happy clients, impressed customers, free cake and coffee; that’s a pretty good result in my book! Now onto the next one! This time for a local health and beauty salon. I Wonder if I’ll get roped into trying out some treatments?